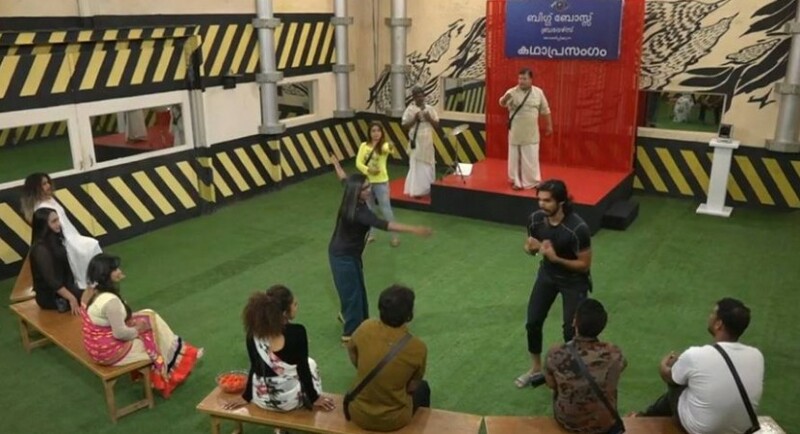 The August 1 episode of Bigg Boss Malayalam began with a romantic sequence where Pearle Maaney and Srinish were seen talking at 02.00 AM in the night. Srinish asked Pearle about the day in which she started loving him. Pearle Maaney refused to give a straight answer to him and asked him not to ask such difficult questions. Later, Srinish asked Pearle about his character traits which impressed her a lot. Pearle who tried hard to hide her shyness told Srinish that she likes him in every aspect. On the next day, Sabumon said that Ranjini has come back to the house from the edge of the elimination like a poisonous snake. Sabumon argued that Ranjni is trying to create problems inside the house. Ranjini positively received Sabumon's words with a bit of smile on her face. After some time, Bigg Boss called Aditi to the confession room. and gave her the birthday gift. The birthday gift was very special to each contestant, as the present was 350 extra luxury points to the house. Bigg Boss also revealed that there will be no extra luxury tasks this week. Later, Bigg Boss showed a small video which showed Aditi's mother conveying birthday wishes to her daughter. Aditi started crying, while Ranjini Haridas tried hard to control her emotions. All the contestants then wished Aditi on her birthday followed by a cake cutting ceremony. Bigg Boss asked the contestants to organize a Kathaprasangam (Storytelling performance) based on an incident which happened inside the house. Anoop Chandran and Sabumon Abdusamad argued that the theme of Kathaprasangam can be the love story between Srinish and Pearle. However, Suresh opposed this idea, and asked Sabu whether he is in a romantic affair with Ranjini Haridas. The storytelling task went on well and it was followed by another task where the contestants were asked to determine the fragrance of various body sprays. In the final moments of the episode, Suresh informed Pearle that audiences might have started to hate him due to his short-tempered character. Pearle Maaney tried to console Suresh, and the episode came to an end.